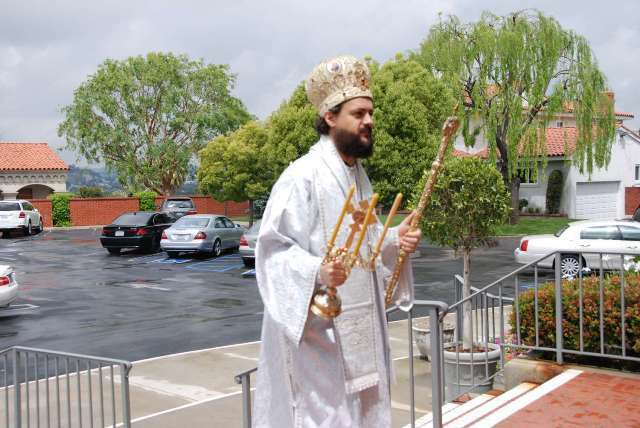 Alhambra, CA - His Grace Bishop Maxim served Paschal Vespers on Sunday, April 24th at St. Stevan's Serbian Orthodox Cathedral in Alhambra, California. The Holy Hierarchical Divine Liturgy with Vespers was served on Holy Saturday at St. Sava Serbian Orthodox Church in San Gabriel. Paschal Matins and the Holy Hierarchical Divine Liturgy was served at St. Stevan's Cathedral.